From the Greek katananke, a strong incentive, referring to its use in love potions (Compositae). A small genus of annuals or perennials of which C. caerulea is the only species likely to be found in cultivation. This is commonly known as Cupid’s dart or blue cupidone and was introduced in 1596. 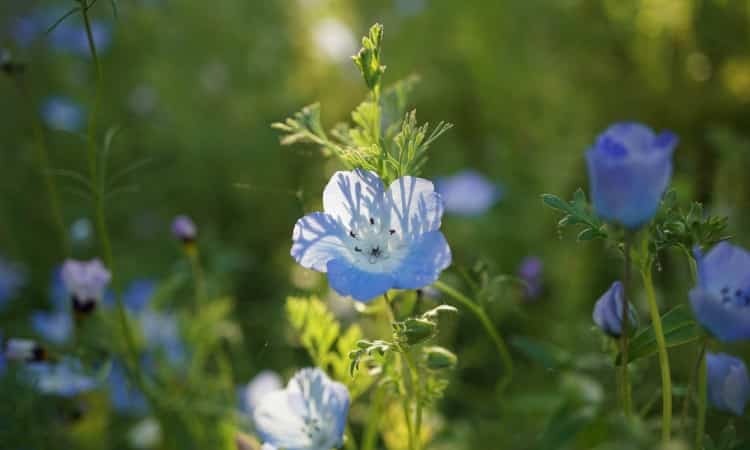 It is a hardy perennial, 2 feet tall, somewhat similar to a cornflower in habit of growth with grey-green leaves and light blue flowers surrounded by papery, silver-coloured bracts. It is a good border plant and is also an excellent cut-flower, fresh or dried for winter decoration. It flowers from July to September. Improved forms are major and Wisley Variety’ ; var. bicolor has blue and white flowers; var. alba, a plant of very vigorous growth has large white flowers; ‘Perry’s White’ is the best white variety, ‘Snow White’ is another excellent white kind. removed at the end of August. Propagation is by division in March or by seed sown during April in a cold frame.